Kitchen lighting has never been as exciting as we see today! The good news is that almost anything goes. The hottest lighting trend is industrial meets retro meets modern, which means it's your personal take on what works best with your kitchen. The rules for kitchen lighting design are few; follow your general style theme (or mix it up thoughtfully for an eclectic look), pay attention to task lighting at the backsplash or anywhere you want or need light, and you're on your way to a kitchen that is dramatic and multi-dimensional. Lighting fixtures play with light in the most wonderful and exciting ways. Seek out fixtures with LEDs to save a maximum amount of energy. A kitchen with a fantasy lighting design becomes its own focal point. Both decorative and useful, a creative lighting design makes its own rules for maximum style and impact. LED light bulbs make an abundance of light fixtures look great and still save energy. 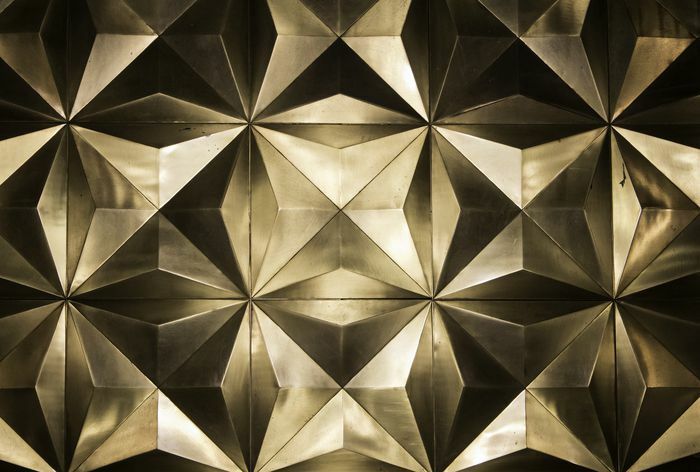 Lighting fixtures with unusual and voluminous texture become a floating sculpture. Trendy for the chic kitchen table, modern elegance is the look. A simple, iconic light fixture, nearly invisible in white, is all about a minimalist look and feel. Perfect for a small kitchen, the look of a single modern light fixture is easy to appreciate. One of the hottest trends is to select a few light fixtures from a lighting brand's collection and make your own grouping. Vary heights and sizes for design flexibility and a fun factor. Hung low (but not too low) your kitchen pendants will add that very popular cozy trend to the kitchen. Do you think they are too low? Hang them lower! Retro yet thoroughly modern, fixtures in threes add a pleasing design statement. An industrial design plus finish can enhance any minimalist kitchen. Brighten up the backsplash! Design an architectural element such as a long shelf high above the countertop and create a mural type effect below with focused lighting. Structural chic. An uber trendy kitchen design needs nothing less than a fabulous light fixture. An island does not always need multiple pendants — nstead, a single, fabulous, oversized fixture can tell the design story. Drama in the kitchen? Why not? With a strong contrast of black and white, new approaches in lighting begs for drama. An invisible strip of lighting along the wall combined with multiple simple black fixtures over a wood table is oh so chic! A lighted backsplash is very on trend. It's about the glow, the useful light and the accents of useful areas which become beautiful. Simple, wide "blocks" of light and surfaces are happening in kitchen design today. Multiple pendants, like ducks in a row, make any kitchen appear organized yet super stylish. Black and clear glass add a lite industrial feeling to the kitchen. Trendy, but with your own twist. Handcrafted, a little rustic, a little retro with a lot of style — vintage is the new modern, especially when used in a contemporary kitchen design. Look to showroom displays for lighting trends. A large grouping of different sizes, shapes, and textures can be translated into a collection of two or more fixtures in your kitchen. Basket textured lighting is the new/refreshed retro lighting trend. It's easy to get the look! Warm finishes in light fixtures are hot! Combine warm light fixture finishes with other warm finishes in hardware, shelf brackets, faucets and more for a coordinated look. Don't worry about matching finishes, the collective warmth will tell the story. A quiet, soft light on a simple backsplash is today's look for modern kitchen design. It's all about a zen look and feel, perhaps with a touch of a simple, modern, plant. Lighting in kitchens is everywhere today, even underneath. Add a floating feeling to cabinetry that adds elegance and accentuating shape and form. A sculptural look. Keep your eyes open and get inspired by lighting trends in the most stylish boutiques. An eclectic mix of color, refreshed formal pieces used with metal folding chairs, perhaps, combined with an oversized brightly colored light fixture is exactly what today's trend is— super personal style. 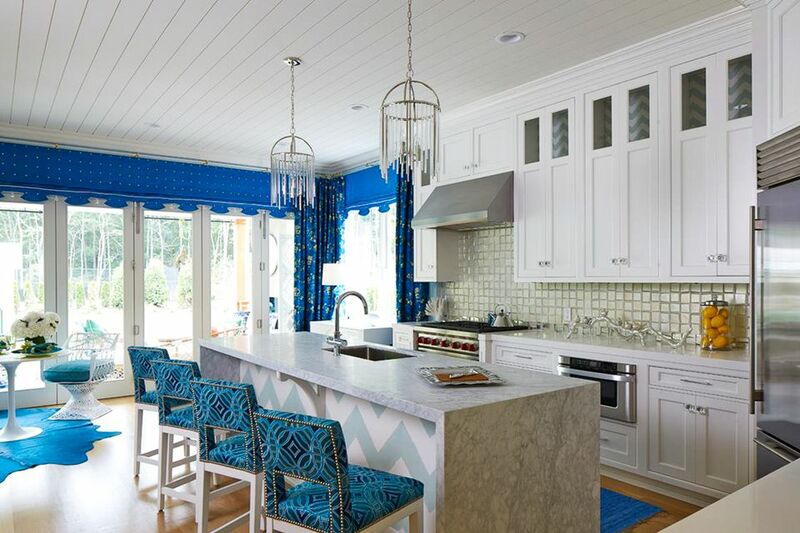 Color can be one of the best ways to create a focal point in the kitchen. Combine basic cabinet lighting with a bright color behind cabinet glass doors and the look will instantly become a modern design statement.